Brown and the Soul Searchers broke out with 1978’s R&B chart-topping “Bustin’ Loose,” which was later interpolated by rapper Nelly for “Hot in Herre.” They cracked the charts again with 1984’s “We Need Some Money.” Eve sampled Brown’s “Blow Your Whistle” for her song “Tambourine.” Brown continued making music in recent years, scoring his highest-charting album ever in 2007 with We’re About the Business and cracking the charts again early last year on Jill Scott-assisted single “Love,” according to Billboard. Brown’s name has been a presence in SPIN several times over the years, including in the magazine’s second issue back in 1985. Below, after live footage of Brown performing at D.C.’s 9:30 Club, are some highlights from the archives. 2. 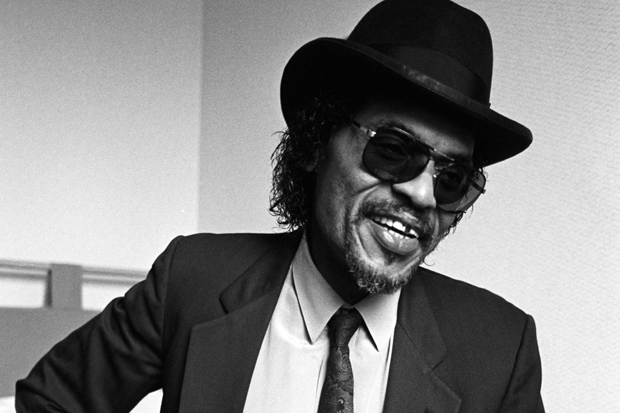 June 1988 Gene Santoro’s review of Chuck Brown and the Soul Searchers’ Any Other Way to Go? / Live at the Crystal Skate offers a vivid introduction to the go-go sound. “Grown, with his lithe and limber Soul Searchers, forces your brain to spin out on the dance floor while you’re wiping the sweat out of your eyes, and he does this better than just about anybody,” Santoro writes. 3. April 1989 Singles columnist John Leland ranks “We Need Some Money” at No. 14 on his “Total Funk A-List,” above Rick James’ “Super Freak,” Prince’s “Kiss,” Isaac Haye’s “Shaft,” the Temptations’ “Papa Was a Rolling Stone,” Tom Tom Club’s “Genius of Love,” Funkadelic’s “One Nation Under a Groove” and many other classic songs. 4. February 1991 Following Brown and go-go through our archives also inevitably means following the travails of their Washington, D.C. hometown. In this issue, Alona Wartofsky looks to answer the question, “Whatever Happened to Go-Go?” Sadly, the drug war plays a key role.